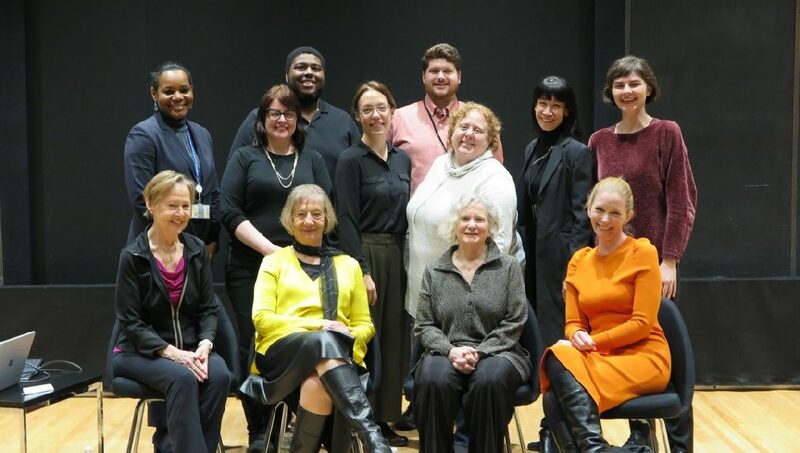 In March I had the pleasure of being in New York for the first of a number of events to celebrate 75 years since the foundation of what is now the Jerome Robbins Dance Division. In the featured image, curators seated (left to right) are Madeleine Nichols, Michelle Potter, Jan Schmidt and current curator Linda Murray. Current staff are standing. Founding curator Genevieve Oswald was unable to attend and, sadly, died two weeks later in her home in California aged 97. The event began with a tribute to Gegi Oswald with a screening of various images relating to her work, and with an interview with her by Walter Terry, which she gave at one stage during her more than 40 years as curator. Then we curators were asked to give our responses to several questions posed to us about our time with the Division. It was a nostalgic evening and wonderful to catch up with friends and colleagues to celebrate the work and vision of the Division. Mind you it was freezing in New York. 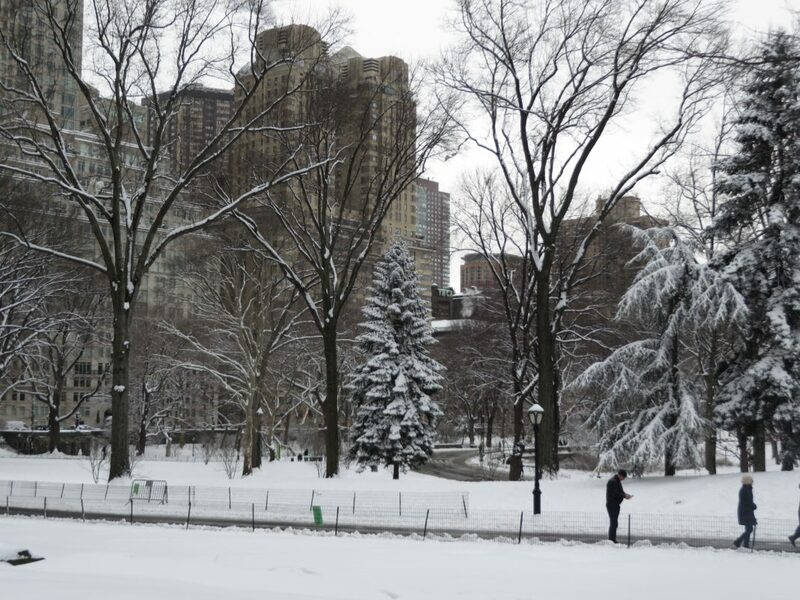 This is what it looked like in Central Park on 2 March! Circumstances of various kinds meant that I was unable to attend many of this year’s BOLD events. But of the events I did attend I was especially interested in Paige Gordon’s talk ‘Who’s Counting?’ in which she discussed her present work in Perth and related it back to her earlier experiences in Canberra. It was also a treat to be at Sue Healey’s showing of several of her current initiatives with dance on film. In particular I admired her short film Weerewa. Portrait of a landscape shot in the area of Lake George just north of Canberra and recently shown at Le FiFA festival in Canada. In March I came across David Hallberg’s autobiographical book, which I had not known of previously even though it was first published in 2017. 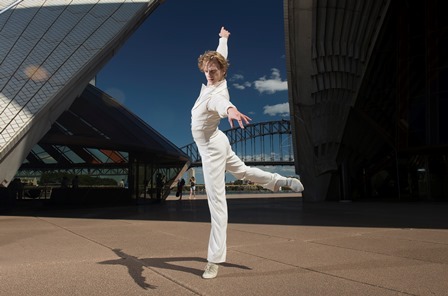 It was of course of particular interest because of Hallberg’s connections with Australia, and in particular with his rehabilitation by the team at the Australian Ballet, Paul Baird Colt, Megan Connelly and Sue Mayes, which he discusses at towards the end of the book. Hallberg also mentions arriving in Australia for the first time and being taken aback by the beauty of Sydney Harbour from the sky: ‘The Sydney Opera House and its surroundings, first viewed from fifteen thousand feet in the air, trumped all photos I had ever seen. Here was Australia!’ It reminded me of the photo of Hallberg taking a pose on the forecourt of the Sydney Opera House, and of seeing him dance in Cinderella in 2013. His book is also fascinating for its insights into the exhausting schedule of those like Hallberg who travel constantly between engagements. My review of Sydney Dance Company’s latest show, Bonachela/Nankivell/Lane is in the pipeline (and late due to other commitments including a preview piece on the show for The Canberra Times). It’s coming soon but I can say now that I was stunned by Melanie Lane’s thrilling WOOF.